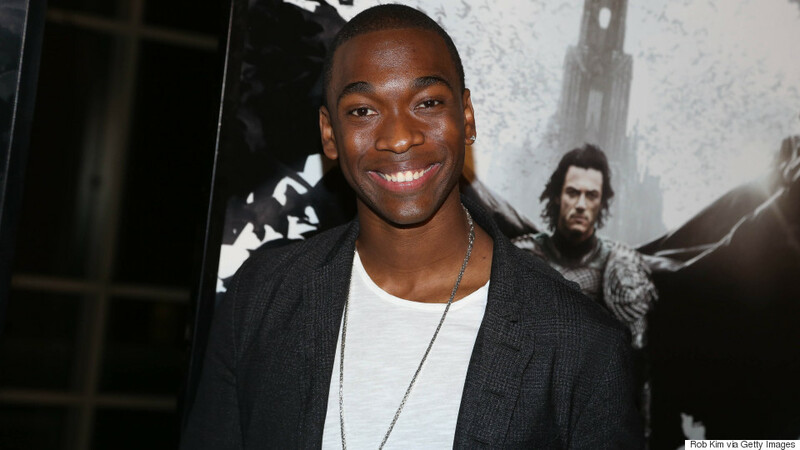 Just in time for April Fool's Day, "Saturday Night Live" cast member Jay Pharoah surprised unassuming Arby's customers in an epic way. The comedian teamed up with the Pepsi Spire fountain machine, which features a large touchscreen, to pop up at New Yorkers who were dispensing soda at the popular sandwich chain. While some were totally delighted to see the "SNL" regular, others spilled their drinks in surprise when the funny man serenaded them, tested out wild characters and went all-out with outrageously unexpected antics. "I've always been crazy and doing weird characters and stuff, so once I heard the idea, I was already on board," Pharoah told AOL in an exclusive interview. "Pepsi is one of my favorite drinks." Ultimately, Pharoah offered an olive branch and helped fans create their own fruity concoctions through the innovative machine that can pair fan-favorite beverages, like Mountain Dew, Pepsi and Brisk Iced Tea, with up to three "flavor shots." His personal favorite combo? Pepsi with a hint of peach, raspberry and lime. ​We had the good fortune of being surprised by Pharoah, too, and caught up with him -- through the machine, no less -- about his five-season tenure on "Saturday Night Live" and his outrageously on-point impressions. Pharoah has spoofed President Obama, Jay-Z and more high-profile figures on the show, but he's perhaps best known for his knee-slapping Ben Carson. And while fans fell in love with the limp hands, sleepy eyes and soft, monotone demeanor, the doctor-turned-presidential hopeful was not impressed. "Ben Carson does not like it. He does not like it. He hates it. It's not even me doing an impression. It's me doing the creepiest thing I can think of," he told us. Other famous faces who haven't had a good sense of humor about the comedian's impressions include Shannon Sharpe and Michael Strahan. One presidential candidate, though, surprised Pharoah when he signed on for a controversial hosting gig on the live sketch show: Donald Trump. "I didn't know what to expect. I don't know him, and you can't judge people before you see what they can do ... But I mean, with 'Hotline Bling,' I was like 'Okay, he's really going for it.' "
After meeting scores of celebrities, musical guests, politicians and more in his tenure with "SNL," as well as countless sketches and characters, the up-for-anything comedian admits there's one impression he'd still love to take on. "White people, of course. Leonardo DiCaprio .... But I don't know if that's going to pass," he joked.